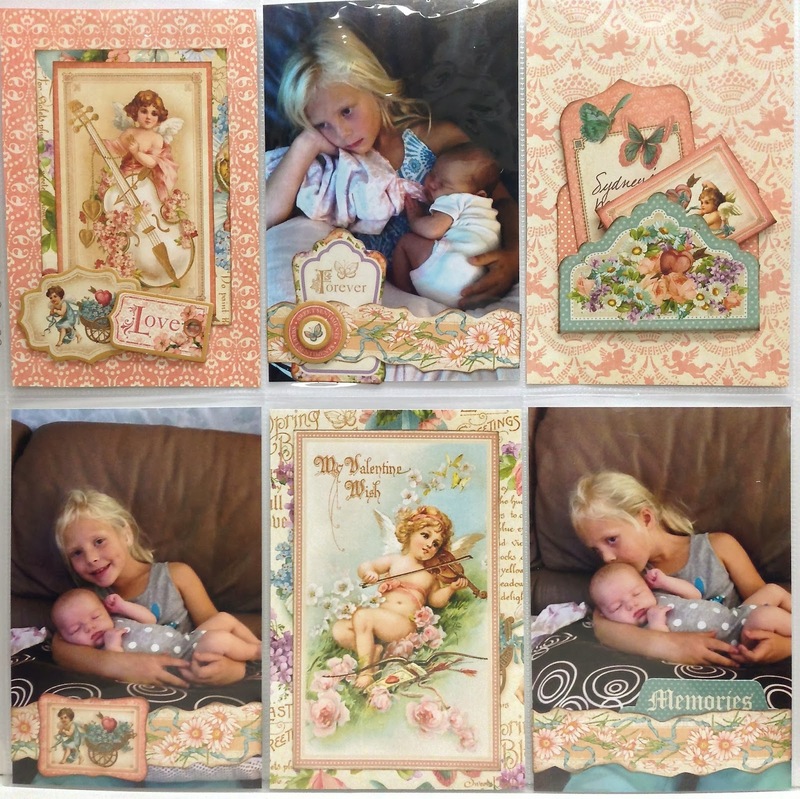 It's time to share another FotoBella project with Graphic 45's Sweet Sentiment Collection. 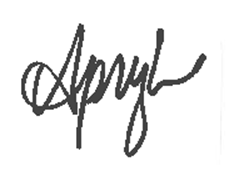 Are you a project life or pocket page style scrapbooker? I dove into this style of scrapbooking late last year in preparation for the arrival of my new baby girl. Her 1st year album is a pink We R Memory Keepers Albums Made Easy and is filled with pocket pages. (supplies found at FotoBella.com). I knew I would have a ton of photos and wanted to easily compile an album with them. I'm sharing one of those precious pages with you today. I use the page with 6, 4"x 6" vertical slots. 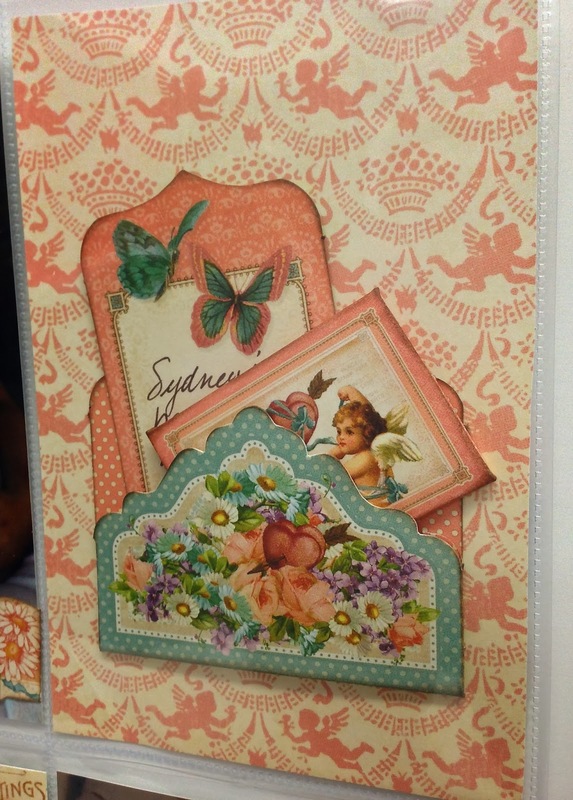 I slid in three photos, and used the remaining three slots for embellishing & journaling. 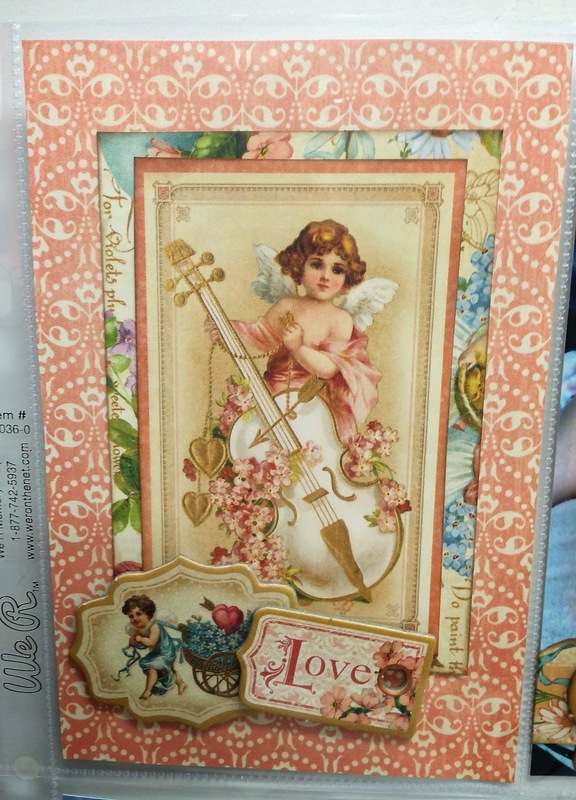 There are some cute envelopes and journaling pieces in this collection. And here is the completed page. If you haven't yet bought this Graphic 45 collection, head over to FotoBella and check out the Albums Made Easy while you're there!